The method used to create a single group in itslearning. Using extensions, it can also be used to create courses. If the group exists, the group with the SyncID will be updated instead! The syncID of the group to be inserted. 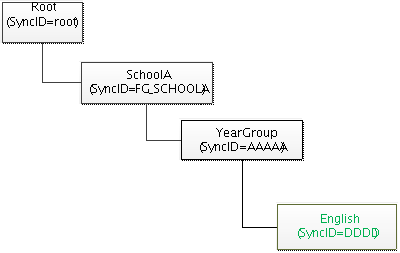 I want to create a new hierarchy group in itslearning with syncID = DDDD. This group should be a sub-group of the existing group with syncID = AAAAA. In addition I want to create a new course related to this hierarchy group. This is done by adding an <extension> section to the request, specifying the course name (mandatory) and the course code (optional).